As you may already know, self-care is a topic very dear to our hearts here at Evolution Psychology Centre. As mental health professionals, we understand and respect the notion that you “can’t pour from an empty vessel.” That is, you can’t effectively help others if you don’t first attend to your own needs. The FDA would agree with this, in advising airline passengers to secure their own oxygen masks before assisting a child or seatmate. Whether you find yourself in the position of caregiver or not, self-care invariably emerges as one of the most fundamental requirements for global well-being. What many people don’t know, however, is that self-care is actually comprised of four key categories, and that a lack of balance among them renders our self-care incomplete. In this post, we will explain the unique tenets of each category, in an attempt to help you gain a deeper understanding of your own self-care needs. Physical Self-Care: physical self-care simply involves attending to our physical health. Getting adequate sleep (everyone needs a minimum of eight hours, regardless of what they claim), proper nutrition, physical exercise, and regular doctor’s visits all comprise elements of physical self-care. Visiting the dentist and other health-care professionals, as well as self-monitoring health activities such as performing regular breast exams (for all my ladies), and being conscientious and in control of chronic illnesses (ex. diabetes) also constitute significant efforts towards physical self-care. This centrally important category essentially refers to the activities we practice in sustaining or enhancing our physical health and well-being. Emotional Self-Care: this has to do with our interpersonal relationships, be they romantic, familial, or friendships. It is very important to feel connected to and supported by the individuals who mean the most to us. Social support has repeatedly been identified as one of the most powerful buffers against burnout and countless forms of mental illness. Emotional self-care, however, also refers to the relationship we have with ourselves – for example, being able to set personal boundaries and prioritize yourself. Do you have difficulty saying no to people? Do you show yourself the same kindness you show others? Do you beat yourself up when you make a mistake? Being able to foster self-compassion, and enjoy alone time if we need to, is perhaps the most important facet of emotional self-care. This also demonstrates that self-care does not have to consist of large, instrumental efforts, but could simply reflect an attitude of kindness and self-acceptance we hold towards ourselves. Psychological Self-Care: being aware of our stress triggers, vulnerabilities, and personal limits is very important in the realm of psychological self care. This has to do with attending to our mental health needs, and recognizing our body’s unique internal cues alerting us to potentially unfavourable states. For example, how do you respond to a headache? Do you pop two Advil and carry on working? Or do you consider the reasons for your headache and entertain the prospect of taking a break? Do you know what stress, anxiety, anger, sadness, and other emotions feel like in your body? Psychological self-care is about acknowledging, understanding, and attending to what our bodies and minds are constantly trying to communicate to us. The first step to self-care is acknowledging when we might need a break. The second, and most important step, is of course allowing ourselves to take it. Spiritual Self-Care: there is a common misconception that spiritual self-care consists exclusively of the specific practices prescribed in organized religions. While it most certainly can, spiritual self-care is about connecting with something greater than the self by any means this can be achieved. For many individuals this involves a love of nature, volunteer work, investing in the well-being of others (as long as they care for themselves first), and tuning in to themselves for a sense of peace, serenity, and groundedness. Mindfulness is a very popular practice promoting spiritual as well as other forms of self-care, as it enhances the mind-body connection and appreciation for the present moment. Through spiritual self-care, we can begin to see how these categories are not mutually exclusive, and that we may engage in certain activities that fulfill many of them at once, by either joining an exercise group with a close friend, or simply resolving to be kinder to oneself and meditate on the powerful benefits of self-compassion. We hope this post has been helpful to you, and that as we move into the colder months, you make the time to invest in your own self-care. 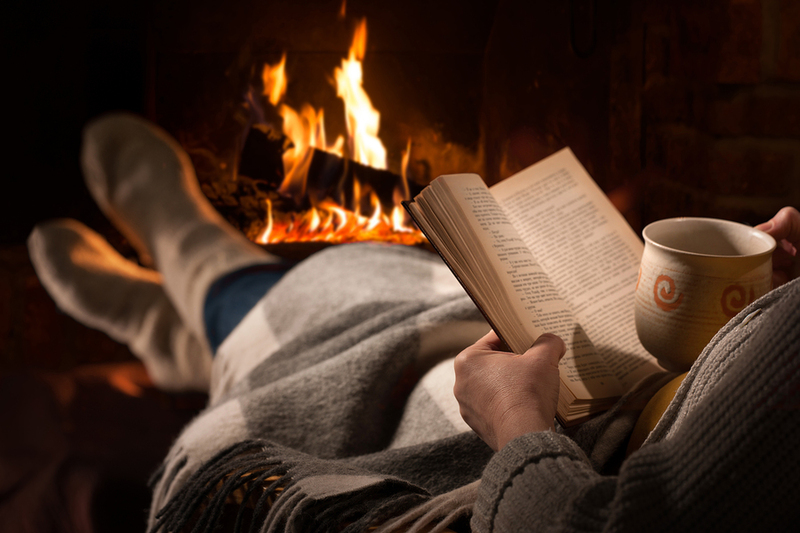 ‘Tis the season to grab a cup of tea, sit by the fire, and tune in to yourself. Prioritizing self-care is the very best thing you could do enhance your productivity, relationships, creativity, health, and overall well-being.